Ep. 29 - Holiday Ideas for Cosplayers! 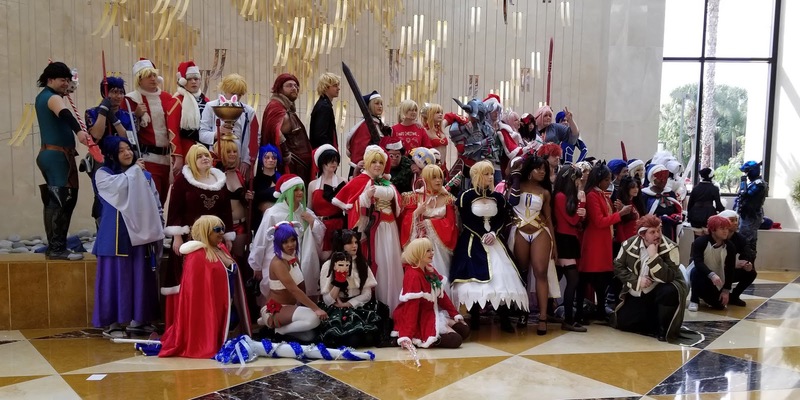 What gift should you get your cosplay buddy? What are activities you can do to hang out? Happy Holidays from the Stitch and Seam Team! We will be on a short hiatus for the Holidays but will be returning January 11th with more fun content! check out the news below for fun news and activities!! What are your Cosplay 2019 Goals? Bring on the new year!! Send us your Cosplay Resolutions and Goals! Submit them by January 3rd and we will air them on the first episode of 2019 on January 11th. Hit $150 in donations and we will have a full episode of VFire and Pannon talking about stupid stuff we have done in cosplay. Donations go towards supporting our website and podcast hosting. We avoid ads so you sharing our podcast or donating a coffee can be a great way to support the podcast. VFire never dropped her trivia in the episode so here is your fun solstice fact of the day! Also here is her horrible but fun Cosplay Before Christmas story VFire made when she was being silly one year with friends. Link takes you to Deviantart. Enjoy! As always, we love our listeners! Ep. 27 - Keep it Soft, Keep it Safe!